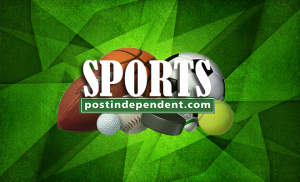 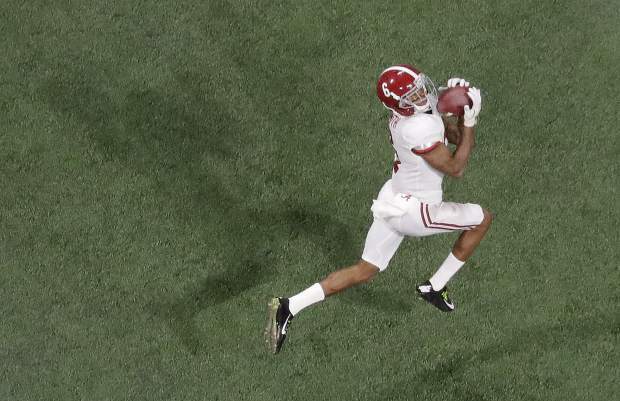 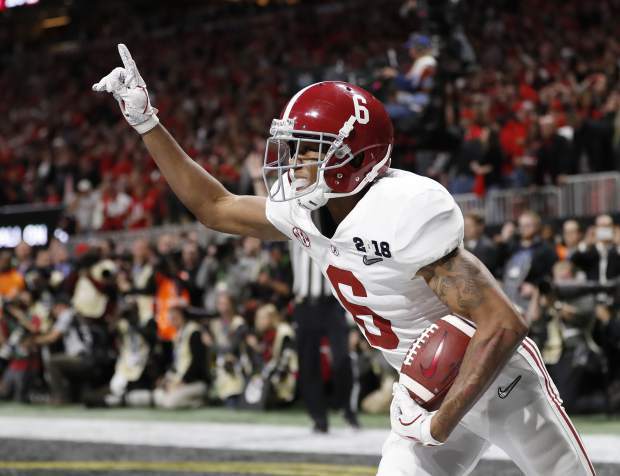 Alabama wide receiver DeVonta Smith scored the game-winning touchdown in overtime of the NCAA college football playoff championship game against Georgia, Monday in Atlanta. 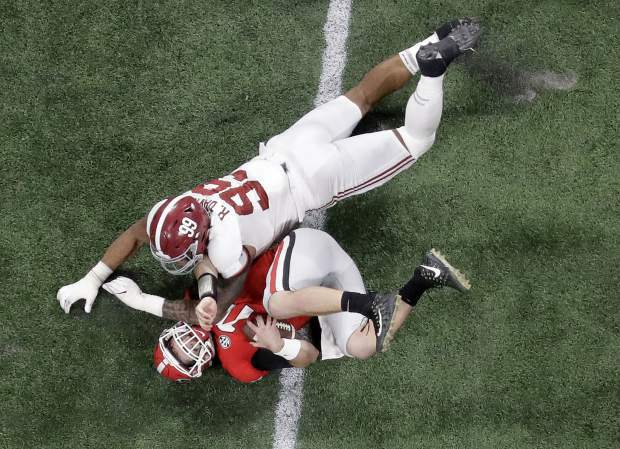 Alabama won 26-23. 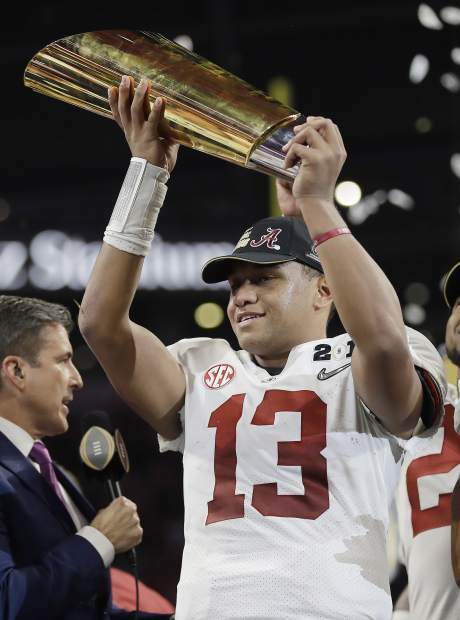 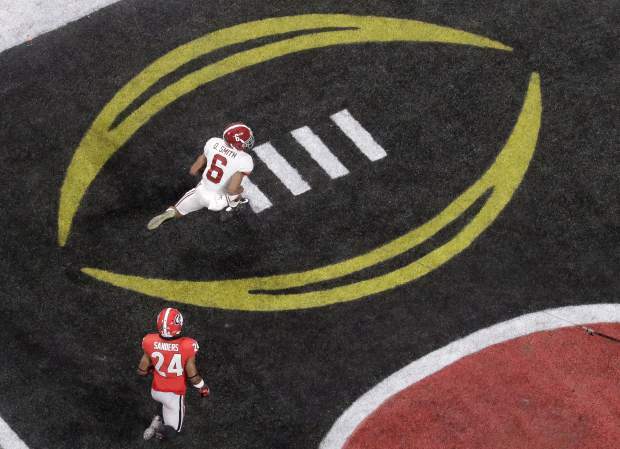 ATLANTA — Tua Tagovailoa threw a 41-yard touchdown to DeVonta Smith to give No. 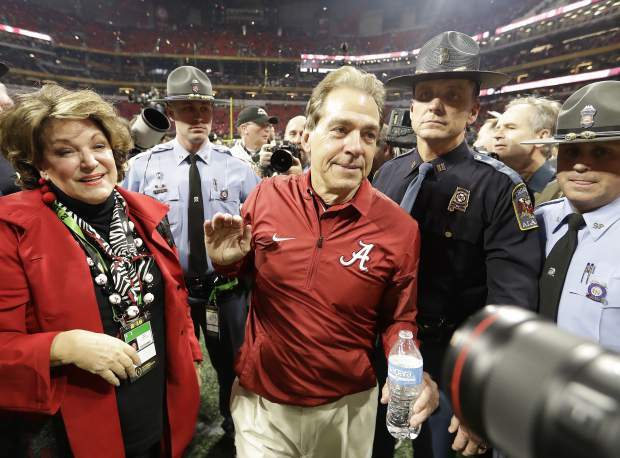 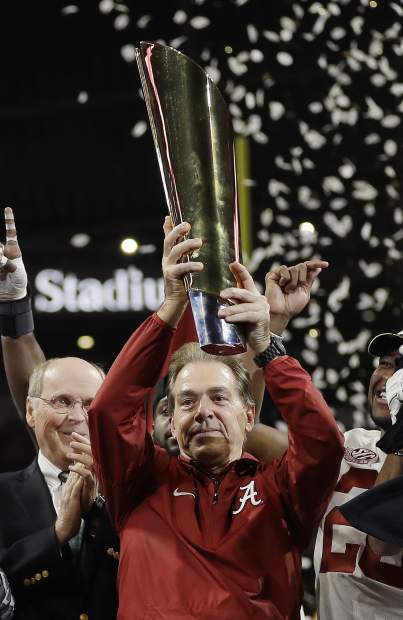 4 Alabama a 26-23 overtime victory against No. 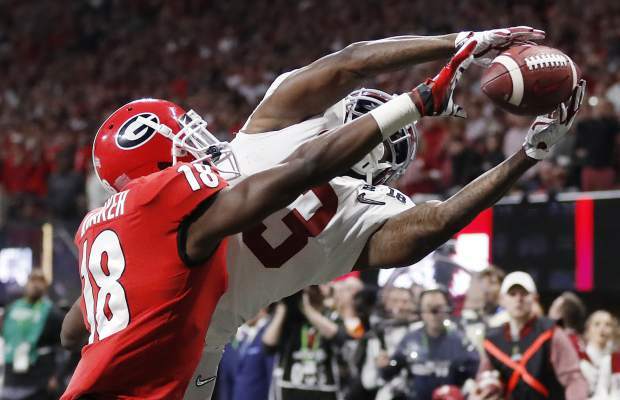 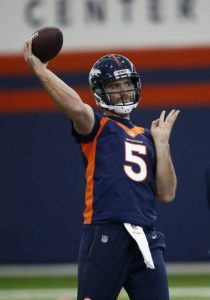 3 Georgia to win the College Football Playoff national championship Monday night.